Dr. Wolf is an outstanding, gifted doctor. He is a man of integrity pursuing excellence in his profession. He is blessed with an irrepressible spirit along with a dynamic energy using his ability to produce beautiful results for his patients. Dr. Wolf gets an A+ in taking time to answer any questions you may have. He is very caring and wants what is best for the people who put their trust in him. I have complete confidence in Dr. Wolf. It is my pleasure to be an easel for his artwork. I am pleased with my facial procedures and will certainly return in the future when needed. After years of research and study into the procedure that I desired to have performed, my final decision came to rest with Dr. Wolf. Citing the patient/client record that he has, his bedside manner, his desire and skills to see the same result as I was looking to acquire, I felt confident that he was the doctor to perform this procedure. 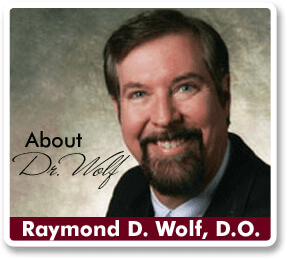 Dr. Wolf gave to me the peace of mind and end result that years of dieting and exercise alone could not. His privacy and personal attention to my concerns made me feel more comfortable than I have ever felt within a medical environment. It is with great pleasure that I recommend Dr. Wolf to anyone who is looking to better themselves of to fix what dieting and exercise alone cannot. He has my highest recommendation and I intend to see him in the future for other procedures as well.